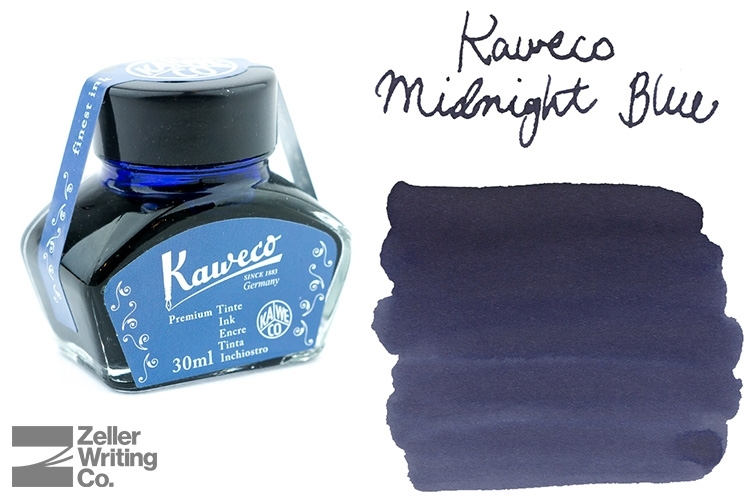 Today, I want to share with you a review of one of my new favorite inks, Kaweco Midnight Blue. I’ve been using it regularly since we began carrying it a couple of months ago and it’s been ultra reliable for long writing sessions while providing just enough shading to keep things interesting. 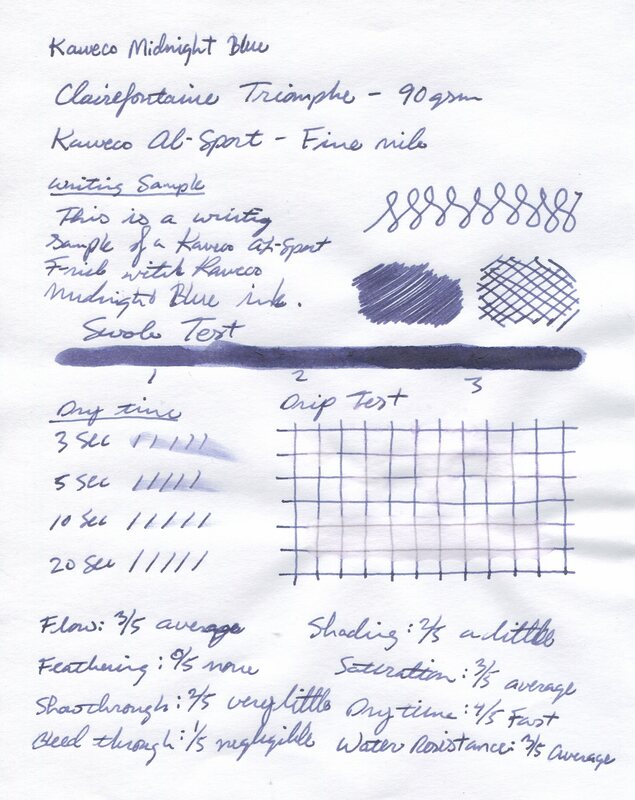 Check out the review below for some more reasons why I like this ink so much. This ink and pen combo provides a nice and reliable flow. Not too wet but definitely not too dry. It’s a great ink for long writing sessions and I didn’t experience any skipping or issues keeping up when I wrote quickly for longer sessions. While there is some obvious color loss and smearing, this is a decently water resistant ink. 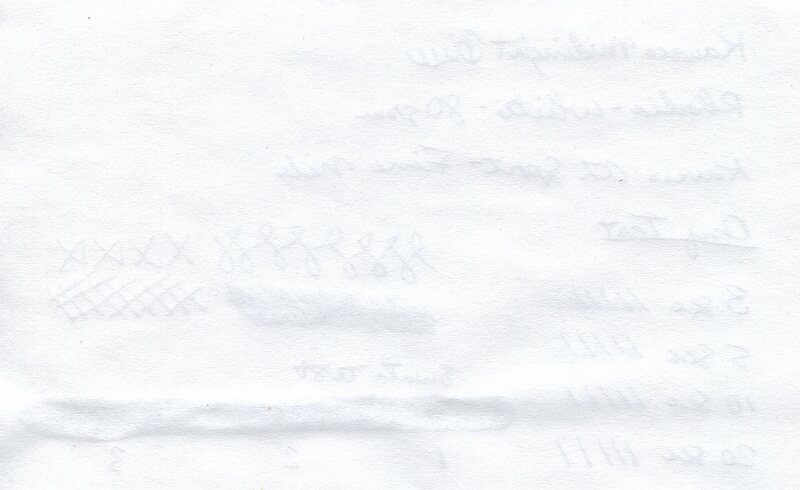 If you do spill some water on this ink, you’ll likely still be able to read what was written. 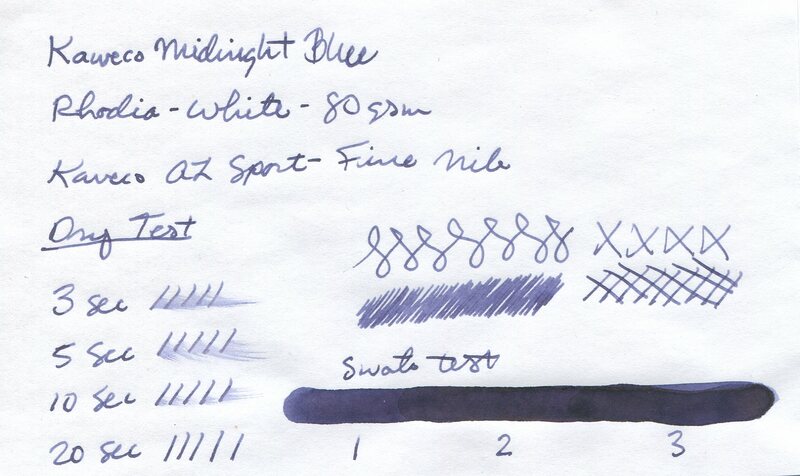 The dry time for this ink was pretty acceptable, drying for the most part in less than 10 seconds. The longest dry time was on the Tomoe River, which is to be expected due to the kind of paper that it is. This isn’t a very vibrant ink, but it’s still a pretty solid blue-black. Not a lot of shading with this ink. 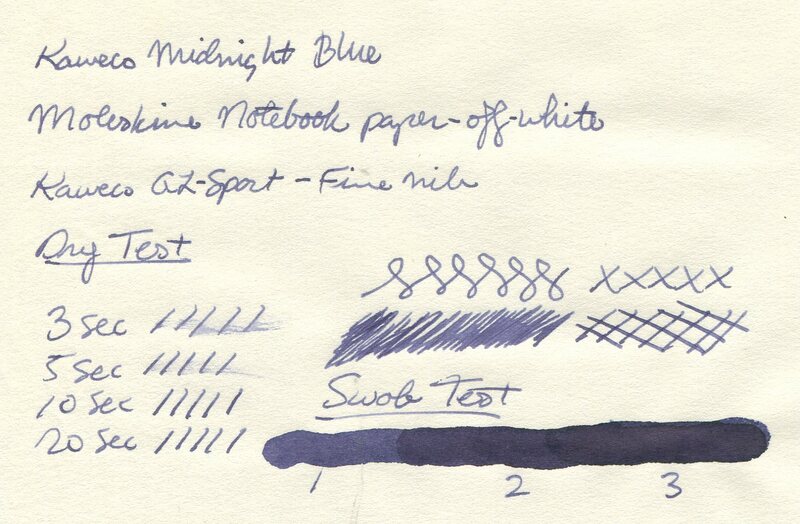 It’s a solid blue-black ink that’s great for writing. 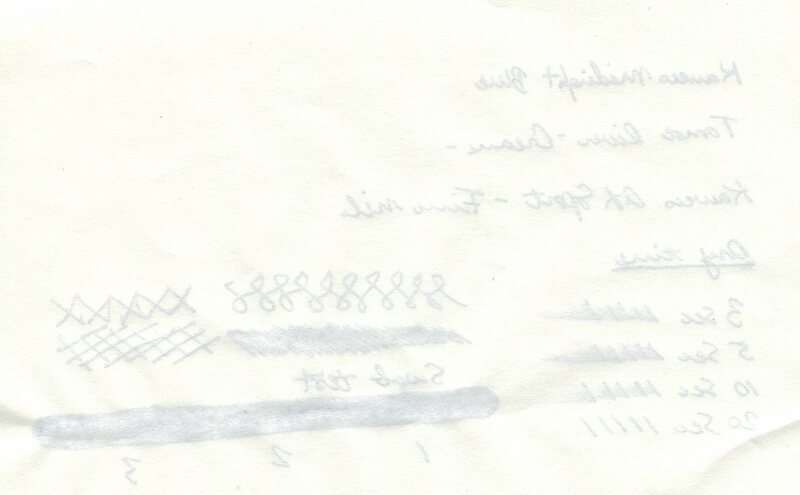 I didn’t experience any feathering with any of the papers used, even the Moleskine. This is a good ink for just about any situation and paper type. 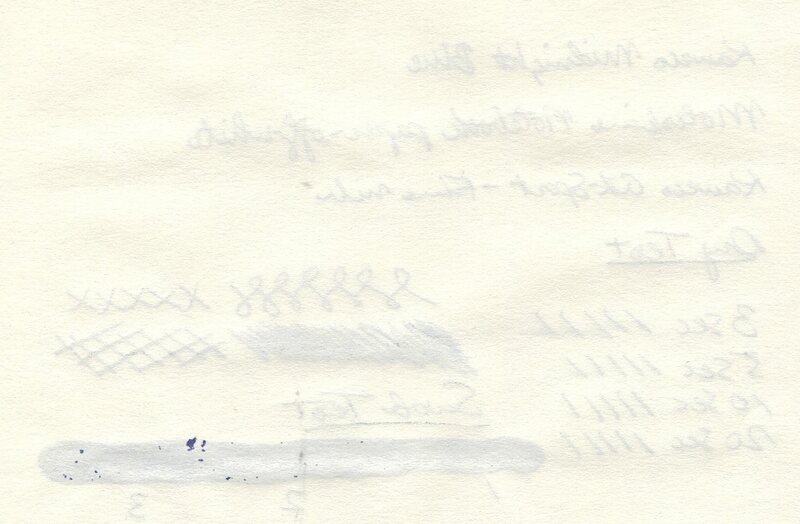 This ink is pretty simple to clear out of your pen. I didn’t experience any staining or stubborn ink. Just make sure to flush it quite a few times with water since this is a darker ink, even the smallest residual ink could discolor any ink you refill your pen with. 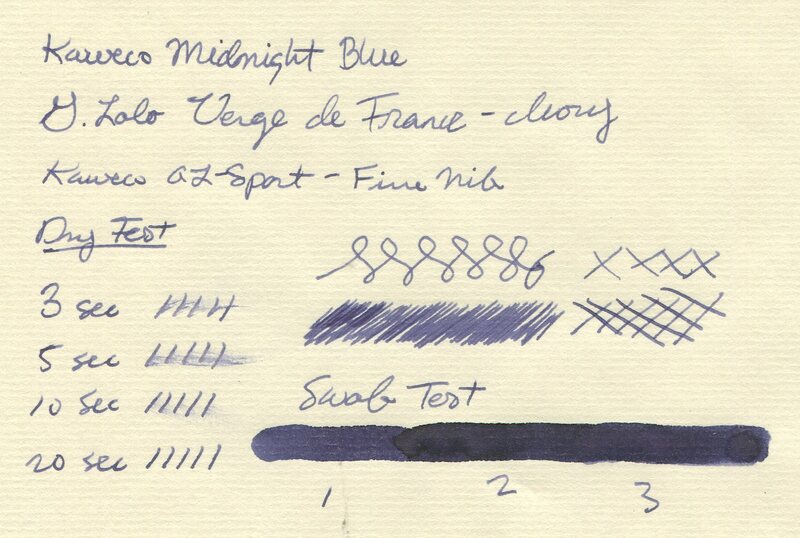 As you can see from the test results, this is a great all-around blue-black ink. It has a steady and smooth flow, has just enough shading to keep things interesting, and is really easy to clean when it comes to changing ink colors (if you’d ever want to.) 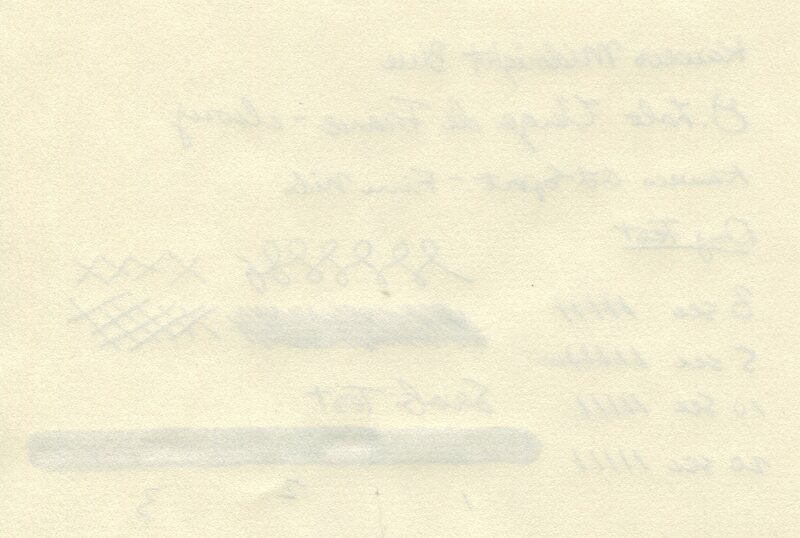 The bleed through, show through, and feathering tests all turned out as I anticipated them to except for Moleskine. Usually Moleskine doesn’t perform too well with fountain pen inks, but this ink/paper combo turned out to be a pretty great pairing! While this is definitely not the most vibrant of inks, when it comes to long writing sessions where you want the words to be strong and flow smoothly from the pen, then this ink is certainly one to consider. 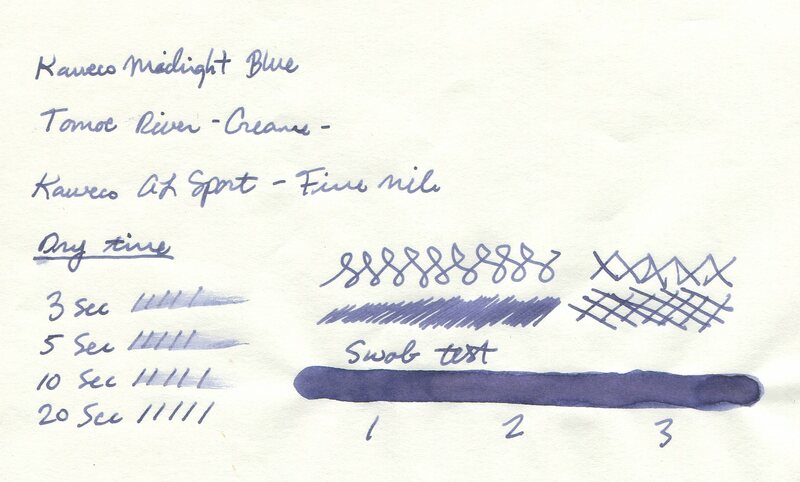 If you’re looking for a smooth blue-black ink that won’t let you down, then I’d encourage you to give Kaweco Midnight Blue a shot. At $14 for a 30mL bottle, it’s in the high-average range for cost, but it’s still a pretty good value. What’s your preferred color for writing sessions? Let us know in the comments below! An essential element for good writing is a good ear: One must listen to the sound of one’s own prose.